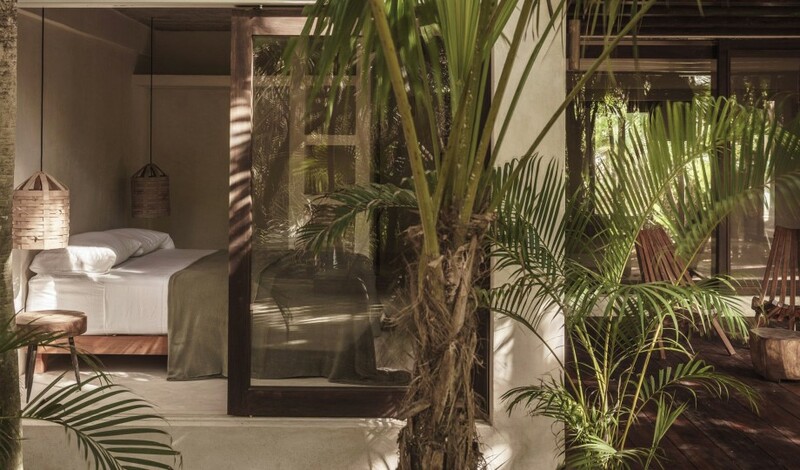 —This private, full-service escape in Tulum’s surrounding jungle bonds guests with a national park and the spiritual center of the Yucatán Peninsula. Amid the tropical jungles and Mayan ruins of Mexico’s Caribbean coastline, Tulum Treehouse elevates guests to a lofty location in the canopy while putting them just a short jaunt from the heart of Yucatán Peninsula’s most en-vogue destination. 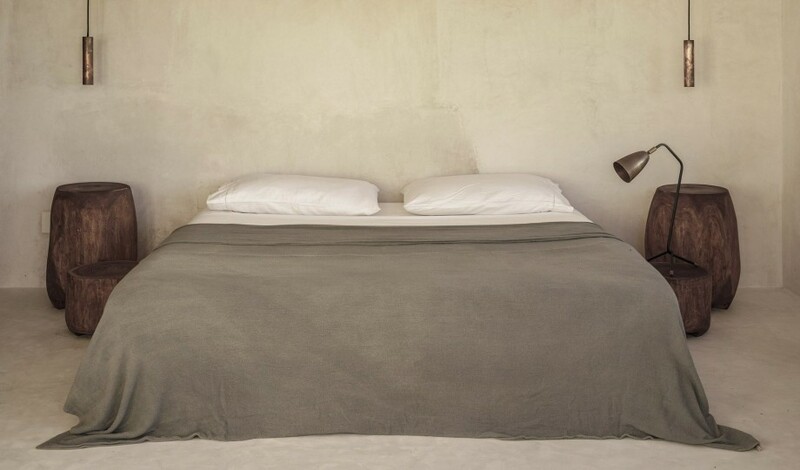 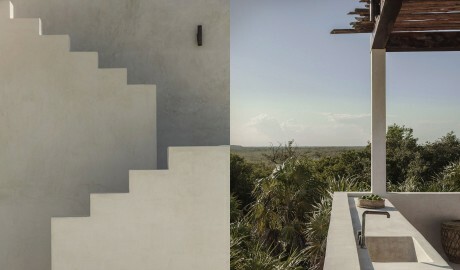 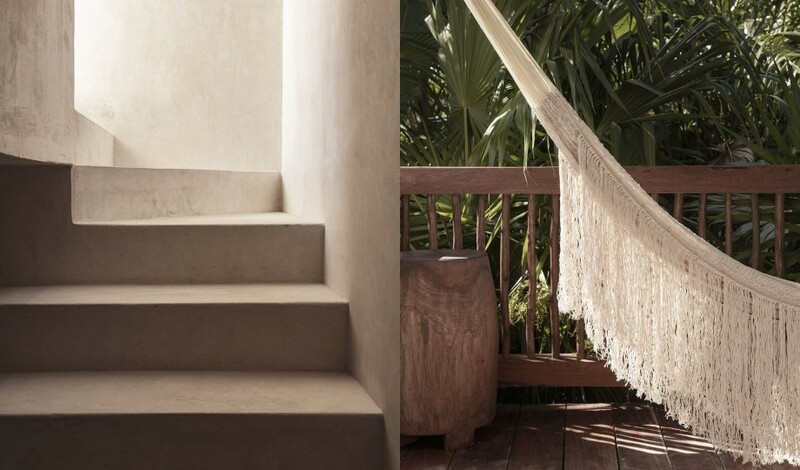 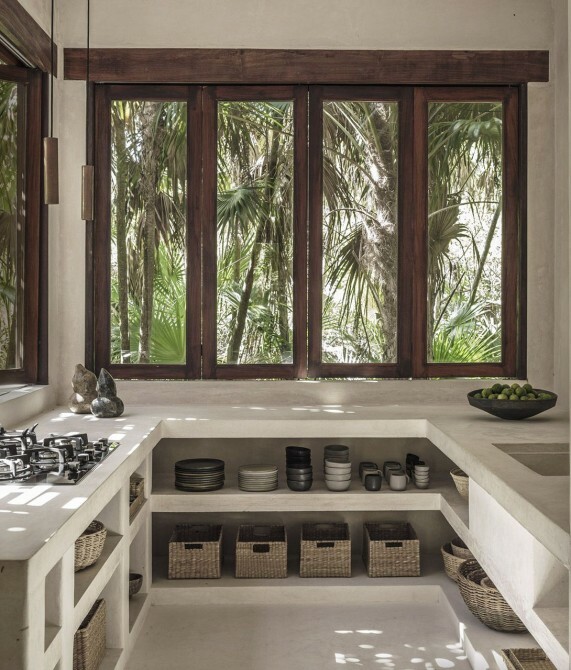 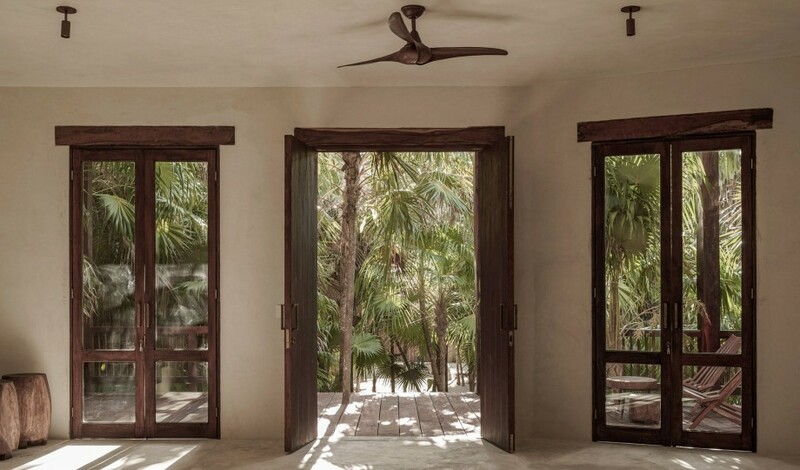 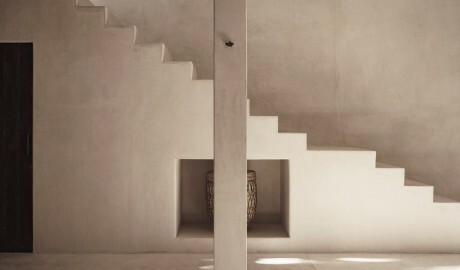 Set along a beach road near the Sian Ka’an Biosphere Reserve, this private residence is a collective effort between international designers, local artisans, and the Tulum-based Co-Lab Design Office, who put sustainability above all else to create a five-bedroom, full-service jungle escape. 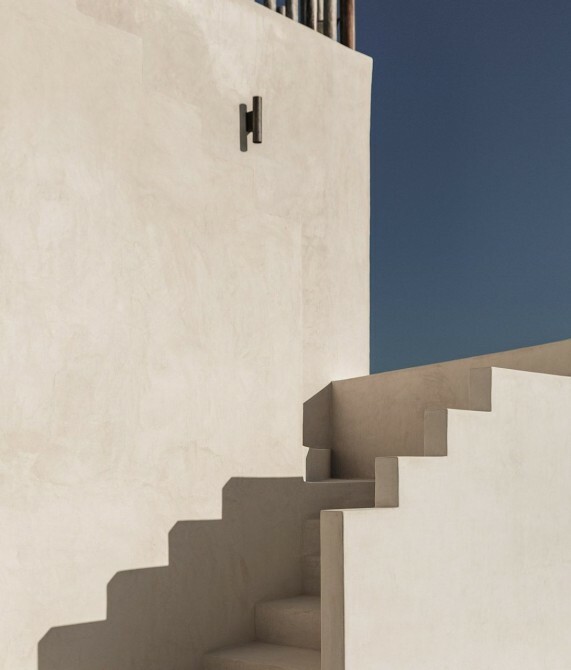 The white concrete structure seems to merge with its surroundings through private terraces and outdoor dining spaces, all outfitted with upcycled carpentry, Oaxacan ceramics, handmade bejuco baskets, and locally sourced textiles. 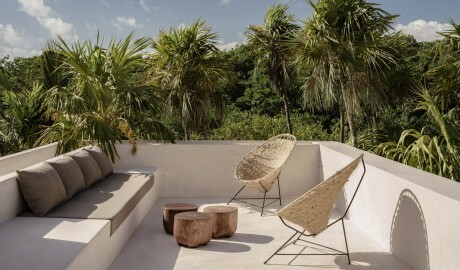 Relaxing hammocks, outdoor showers, and a 12-person dining space on the rooftop, meanwhile, encourage guests to drink in Mexico’s natural beauty. 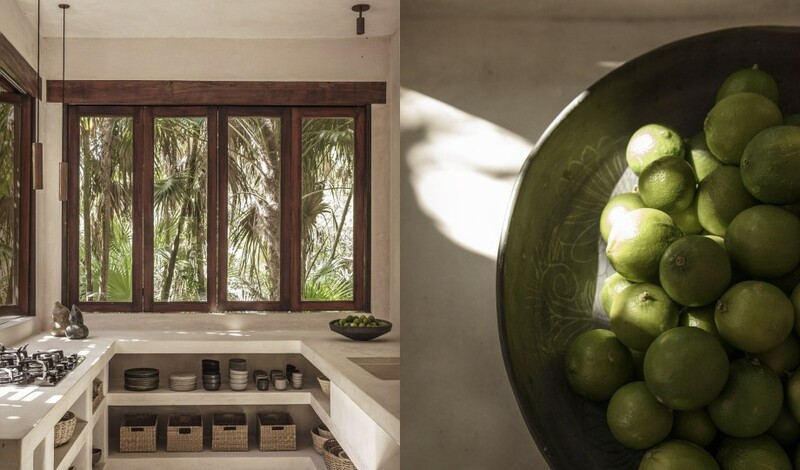 Naturally secluded yet in close quarters with central Tulum, this eco-conscious escape frames a green corner of Mexico in its best light. 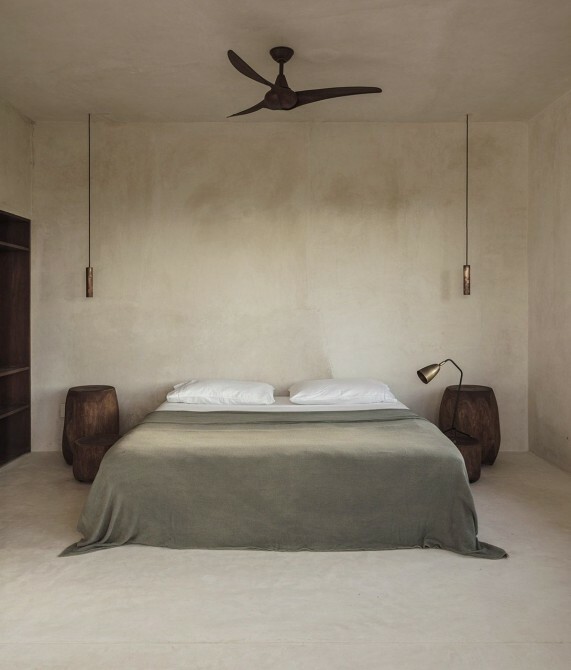 The house can either be rented in its entirety, sleeping up to 10 guests in five bedrooms with en suite bathrooms, or as a three-bedroom property. All rooms feature a private terrace and boast an outdoor shower, a hammock, or a seating area. 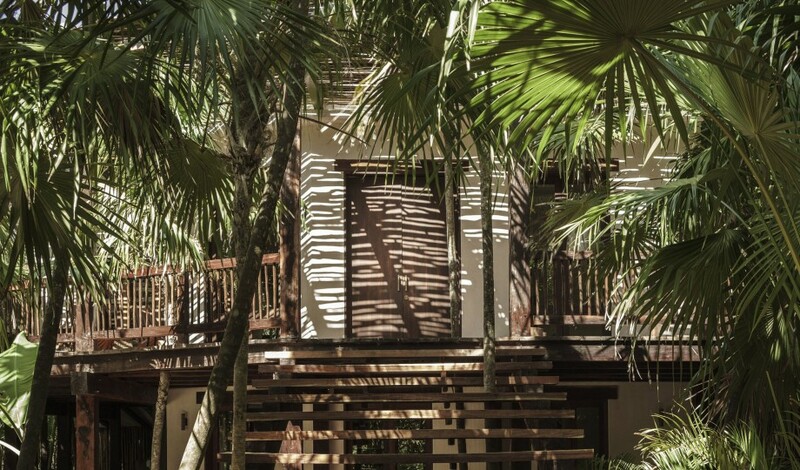 The standalone Garden Suite offers two bedrooms and two bathrooms, as well as wooden decks and terraces spanning 125 square meters. 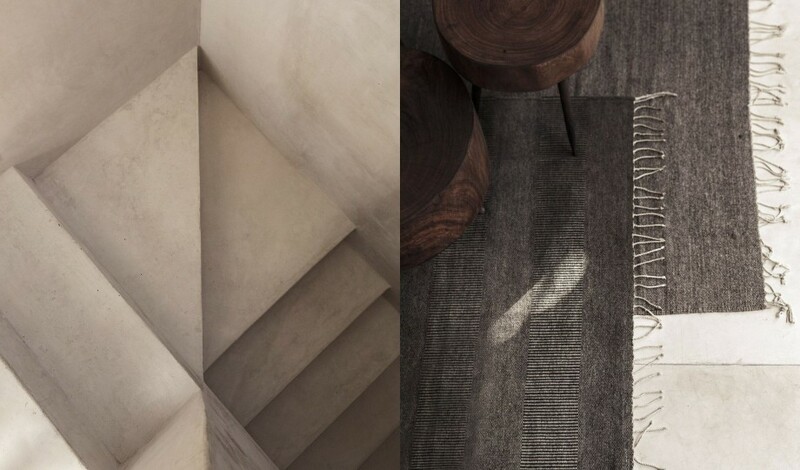 Interior spaces are minimally embellished with fine wood furnishings and artful design pieces by a collective of local artisans and international designers. 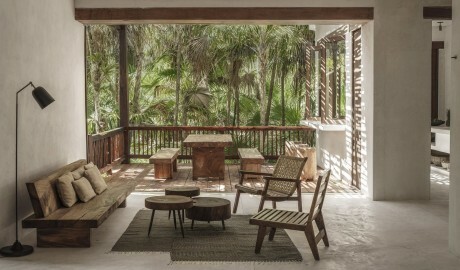 Hard geometric shapes are softened by the sand hue of polished concrete and the natural richness of Tzalam wood, while wraparound terraces and open-air spaces push the house’s jungle location to the forefront of the guest’s experience. 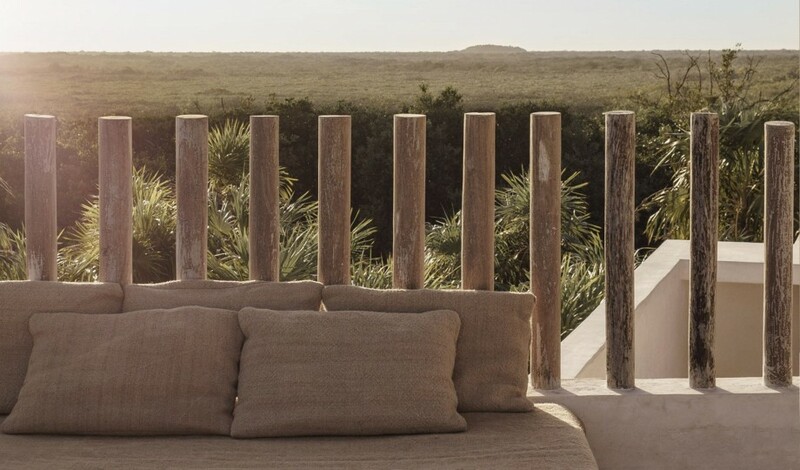 The property sits on the edge of a jungle just south of Tulum, the Yucatán Peninsula’s most fashionable destination.